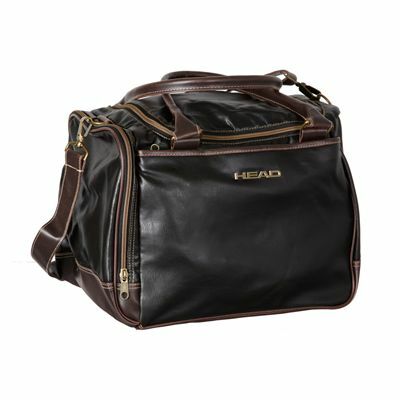 The Head Dakota medium travel holdall combines stylish retro design and functionality. It is manufactured in antique leather look fabric with contrasting stitching and is perfect for school, sports or travel. The bag features a large main compartment with U shaped zip, zipped accessory pockets on each end of the bag and outer zipped document pocket with metal Head logo. The bag provides carry handles and adjustable, detachable shoulder strap ensuring comfort of transportation. The bag is 39cm (15.4”) long, 27cm (10.6”) wide and 30cm (11.8”) high. for submitting product review about Head Dakota Medium Travel Holdall.